to create any gift sets. This modification isn't applied to a product details page, it uses a category page. That is why the modification will not conflict with the changes that are usually done to a product details page. You should create a category named “Create your box/set” and check “Use for box” checkbox on the editing category page in the admin back-end. In the admin back-end in the category settings admin specifies how many items can be added into a box. Admin specifies a price for a box. It is a fixed price and doesn't depend on the items in a box. Admin should add products to this category. It will be possible to add these products to the box. 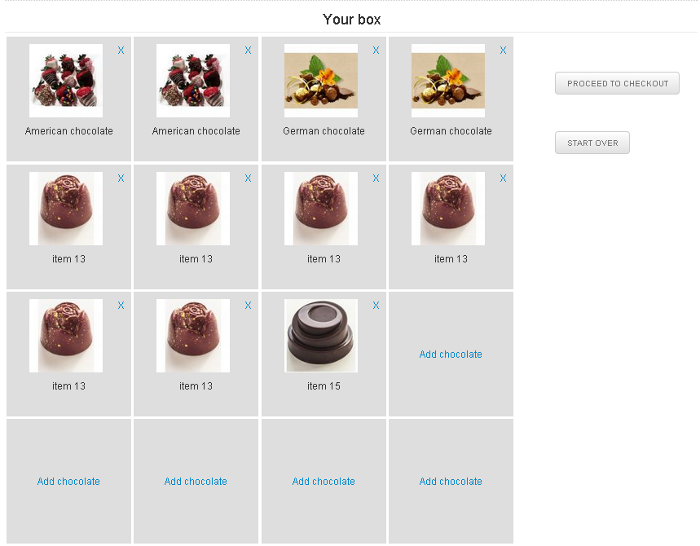 In the storefront on a category page there appears a button “Add to box” and a quantity input field below every product. 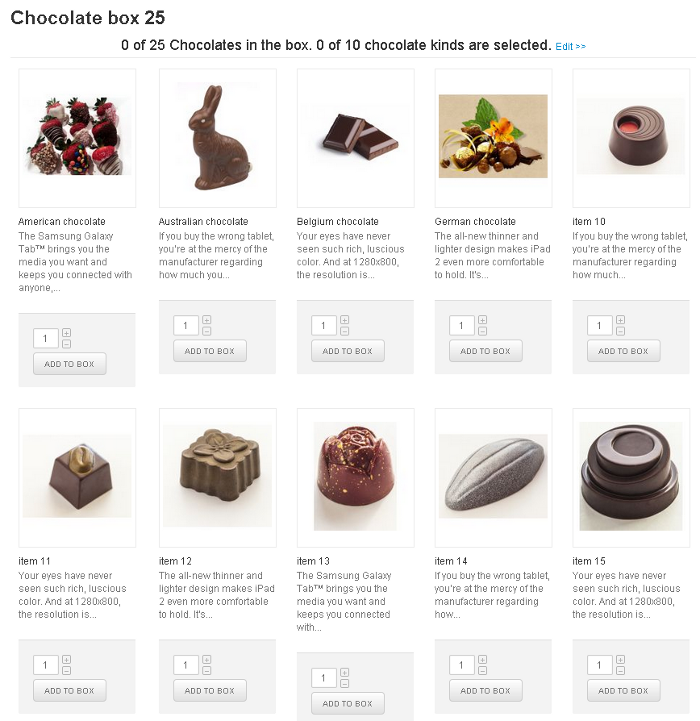 By clicking "Add to box" button the product is added to a box. It is possible to view the box, edit it, add or delete items. 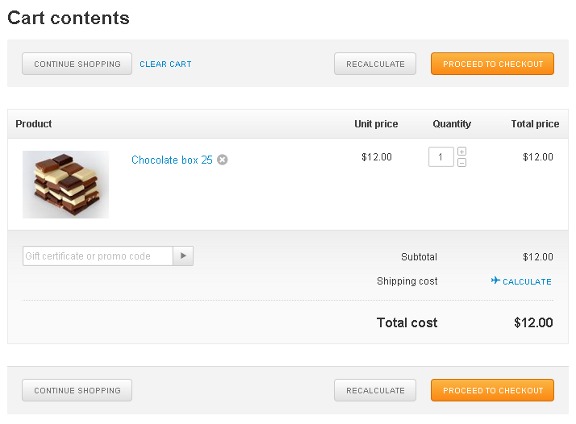 On the cart contents page it is possible to delete the whole box from the cart or change the quantity. More features can be added to this modification on request. The discount price for this modification for CS-Cart 4.0.x. is $350. Unfortunately, this modification doesn't work with options. But we can add this possibility for some extra charge." "Can this modification handle product options? For example, how would apparel appear as a component of the "box"?"